Visual communication, illustration and animation for Goodnature – Aotearoa’s leading conservation technology company. 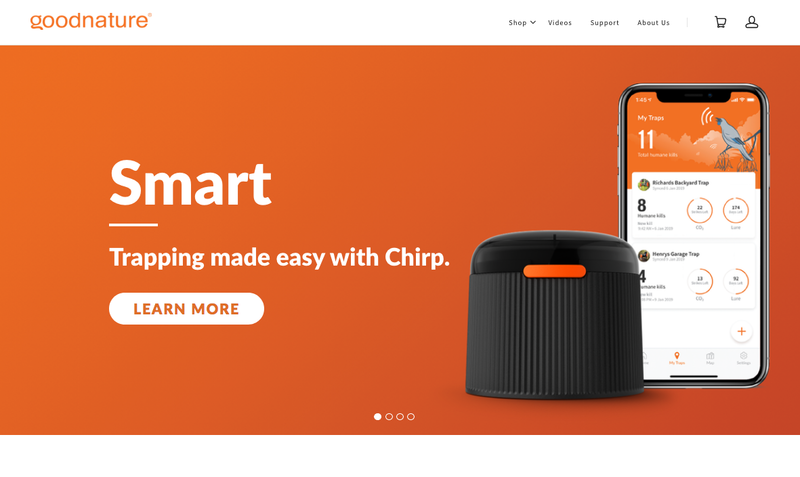 Over the last year I have worked closely with Goodnature to develop a range of visual communication assets for their newly released smart-technology product and app, ‘Chirp’. As part of the development of this project I also created a fresh new visual style for Goodnature’s illustration content, that will be used for all their products, across digital, print and product production. The illustration style is clear and elegant, with refined linework and reduced colours. I used the style to develop storyboards and vector assets for animation, and it was the base for further full-colour illustrations for the new app ‘Chirp’. Goodnature’s in-house design team is now developing an extensive body of graphic assets based on the style. The majority of my work for the Chirp project was transforming the content of Goodnature’s printed installation guides into clear and dynamic ‘how-to’ animations for mobile. 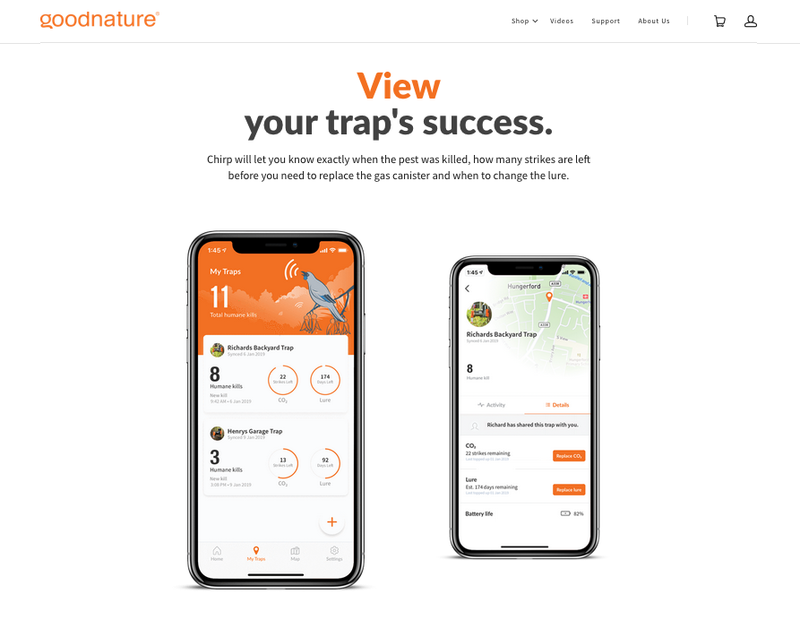 I worked closely with the Goodnature team to develop the narrative sequences and storyboards for 7 step-by-step tutorial animations – from unpacking the Goodnature trap to connecting to the trap with your phone via Bluetooth, to the first test fire! I created the vector assets for animation in the fresh illustration style, which were then turned in to beautiful and engaging animations by Sam Muirhead at Camera Libre. Expanding on the new visual illustration style, I created colourful and cheery illustration that is used throughout the Chirp app. I developed the concepts for the ‘Walkthrough’ Illustrations that welcome the user to the app, aiming to relate the value of Goodnature’s innovative technology and focus on data, as well as connect emotionally with the user. The further in-app illustrations have a friendly and celebratory feel, based on the desired outcome of the trapping process: the protection and support of Aotearoa’s environment, native birds, insects and reptiles.